Udupi, Nov 20 2018: Sindhu B Rupesh has been appointed as the new Chief Executive Officer of Udupi Zilla Panchayat. She earlier was the Assistant Secretary in the Finance and Budget Department in Bengaluru. 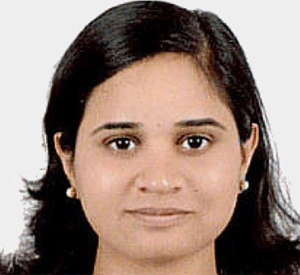 A BE graduate from Mysuru, she is an IAS officer of 2011 batch and topped the state in civil services exam. Shivananda Kapashi who was earlier the CEO of Udupi ZP has been appointed Registrar of Rajiv Gandhi University of Health Sciences, Bengaluru.